Natural hair shrinkage is crazy! Most naturals loathe when their hair shrinks because the hair appears way too short. 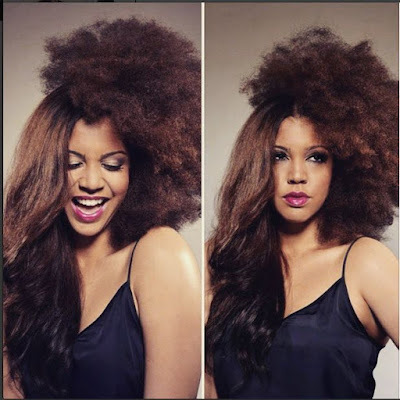 On days when humidity is higher than normal or the day after #washday is when natural hair shrinkage is at its worst. Shrinkage actually means that your hair is healthy. The fact that your hair is able to go back to its natural state after being pulled or straightened constitutes healthy hair. 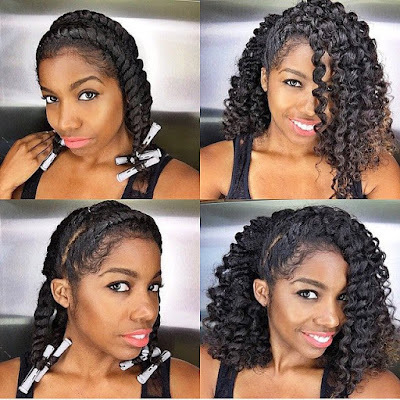 Before heat straightening your natural curls here are a few things you need to know. Before your hair undergoes any chemical processing or activity in which the structure of the hair changes, always deep condition the hair. Deep conditioning the hair will act as barrier in keeping the hair moisturized, flexible and strong to undergo stress. Whether you are coloring the hair or heat styling, always give your hair a great deep condition first. Banana Nut & Avocado Deep Treatment nourishes and strengthens the hair for healthier, stronger and shiner hair. It smells like Banana Nut Muffins and will leave you begging for me. Natural Hair can be prone to dryness and is one of the reasons why naturals must use a leave-in conditioner. Leave-in conditioners that provide a lot of slip and moisture are great for detangling and lightly coating the hair. A great leave-in conditioner like Thirsty Kurls Leave-in Conditioner, will seal in moisture while adding protection for the strands to be manipulated. Heat Straightening natural hair without a heat protectant is a No No. Why? Because heat can permanently change the structure of protein and hair is made of lots and lots of protein. Once the protein bonds in the hair have been destroyed by heat, the hair will no longer curl or shrink into its natural shape. Ensure that your hair is properly coated with a heat protectant before adding heat. This style was not created using our products. Recreate this look using Jelle Coconut Styling Gel. 1) On damp hair, add coconut oil all over. 2) Separate the hair in about 5 twists (2 twists cross way in the front and 3 twists going towards the back of the head). 3) Apply Jelle Coconut Styling Gel to each section and flat twist. 4) Apply perm rods to ends for a smooth curly look. 5) Let hair air dry then separate twists carefully with Kurlee Tropical Oils Blend. Get Ready for Summer with Kurlee Belle! Save 10% OFF All products + FREE Tote Bag. 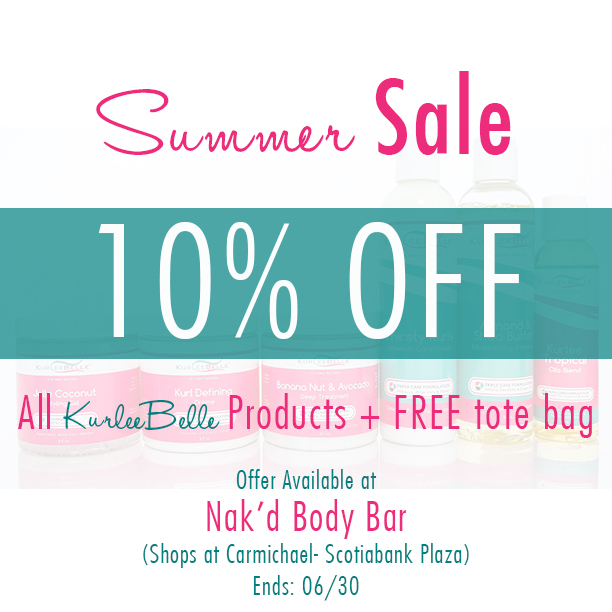 Offer Available at Nak'd Body Bar (The Bahamas) until 06/30. 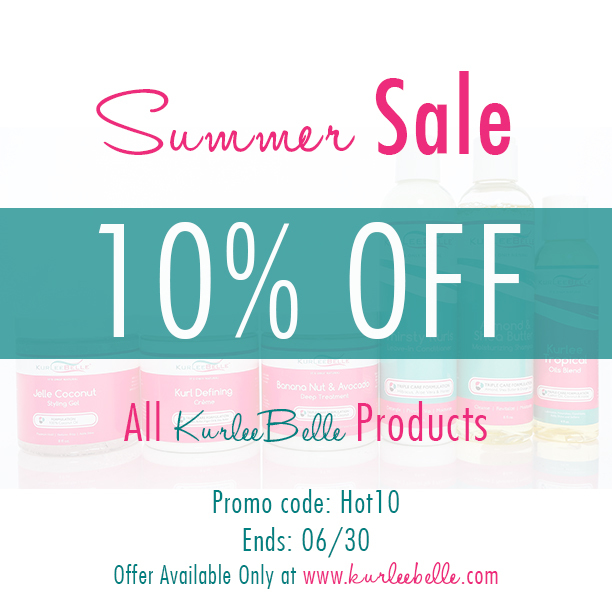 USA & International Use Promo Code: Hot10 at www.kurleebelle.com to receive discount. Save 10% OFF All Products until 06/30.